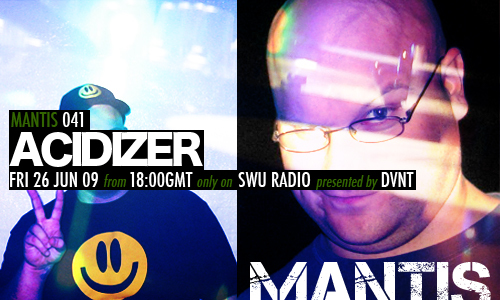 Mantis Radio presents Finland’s Acidizer, who as the name suggests is a fan of acid drenched beats. Before that, music from Untold, FZV, Jacen Solo, Renegade Soundwave, Juice Aleem and more. Finnish musician Acidizer aka J. Raninen played classical piano as a kid, but was more interested in rhythms like those he heard in the electronic music on the radio or from computer games. He ditched the piano and picked up tracker software and begun to compose. Sometime in the mid 90s, inspired by Hardfloor he bought a 303 and formed a band called Healium, with T. Kesäniemi. Their first record came out in ‘99 on Skeletor Records and they began to tour around Finland. Which they’ve been doing ever since. 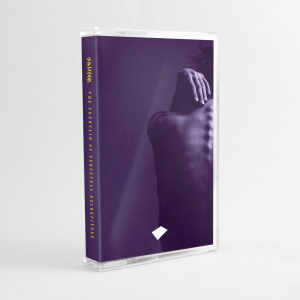 Healium is currently releasing material on Communiqué records. Following their signing with Skeletor Records, label manager Kalle Karvanen introduced K. Karm to Healium and they began to do special guest star gigs with him. This later developed into the K.Larm & J.Raninen project also releasing on Communiqué. Occasionally Acidizer produces solo material and it’s this that got Mantis Radio interested. His track Stretch on the excellent net label release of Machine Cut Grooves on the Noise Network blew me away. So much so, I had to get him on the showcase.